John JOHNSON Jr. (1649 – 1716) was Alex’s 8th great grandfather, one of 512 in this generation of the Miner line. John Johnson Jr. was born in 1649 in Guilford, New Haven, Connecticut. His parents were John JOHNSON Sr. and Dorothy [__?__]. He married Susannah [__?__] in 1682 in New London, CT. John died in 1716 in Franklin, New London, Connecticut. Susannah [__?__] was born about 1665. The town of Franklin was originally called “West Farms” and settled by residents of Norwich. The town’s population has remained relatively stable since the 1800s when farmers lived on the hillsides and no clear “village center” had been established. Dairy and poultry farming is still the area’s mainstay. [NVR 51] The children of John Johnson: Isaac, 7 November 1683; John, 2 March 1685; Dorothy, 19 March 1688; Abigail, 28 February 1690/1; Ebenezer, 25 January 1693/4; Ruth, 17 April 1695; William, 18 June 1697; Jane, 4 February 1699/1700; Daniel, 18 July 1702; Bathiah, 5 August 1705; Isaac, diec 12 December 1707. [Norwich1 233] 10 acres of land at Lebanon Valley granted to JJ in 1677; also a grant at Westwqd Hill. His cattle mark was registered in 1683; he was a lister in 1698. Isaac Johnson of Norwich died 7 January 1708; Ensign William Johnson of Canterbury, who probably went from Norwich, died 23 February 1713; Ebenezer Johnson of West Farms, 1718, married Deborah Champion. i. William Williams was born 13 Oct 1714.
ii. Elizabeth Williams was born 13 Mar 1716 and died 22 Apr 1754.
iii. John Williams was born 22 Jul 1718 and died 17 Jun 1754.
iv. Margery Williams was born 5 Jul 1720 and died 24 May 1754.
v. Charles Williams was born 1722.
vi. Dorothy Williams was born 1725 and died 4 Aug 1818.
vii. Isaac Williams was born 16 Jul 1728 and died 12 Jun 1754. Abigail’s husband Abraham Dowd was born 1 Oct 1697 in Guilford, New Haven, Connecticut. His parents were John Doud (Dowd) and Mary Bartlett. After Abigail died, he married 7 Sep 1758 in Connecticut to Phebe Kelsey. Abraham died 9 Feb 1781 in Guilford, New Haven, Connecticut. v. Deacon Isaac Johnson (1728 – 1814) m1. 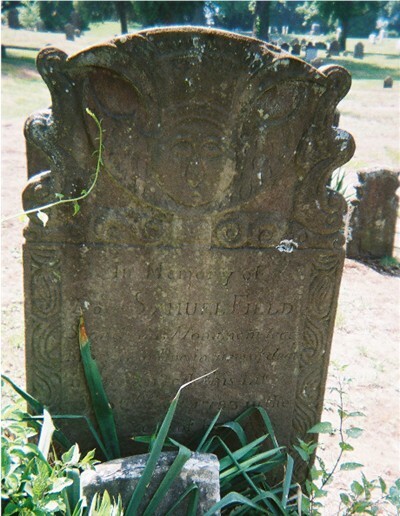 Experience Gifford 26 Jun, 1754 in Norwich, New London, CT. She died shortly after birth of son, Oliver. Buried in the Old Burying Ground in Norwich. m2. 13 Mar 1759/60 to Jerusha Gager. Buried with husband in Plains Cemetery, in Franklin, CT Capt. Isaac Johnson commanded a company in the Connecticut militia in the Revolutionary War. vi. Ebenezer Johnson b. 1731; d. 11 Dec 1804 Bozrah, New London, CT; Burial Johnson Cemetery, Bozrah; m. 11 Jul 1759 New London, New London, Connecticut to Anna Mills or Anna Willes Ebenezer was an ensign in the Revolutionary War. Ruth’s husband Ebenezer Baker was born 17 Jul 1689 in Windsor, Hartford, Connecticut. His parents were Joseph Baker and Hannah Cook. William’s wife Hannah Stoddard was born Sep 1703 in Norwich, New London, Connecticut. Her parents were John Stoddard and Deborah Roise. Jane’s husband Stephen Meigs was born 10 Oct 1699 in Guilford, New Haven, Connecticut. His parents were Deacon John Meigs and Rebecca Hand. Stephen died 31 May 1759 in Guilford, New Haven, Connecticut. Bethiah’s husband Samuel Field was born 12 Jan 1704 in Guilford, New Haven, Connecticut. His parents were Sergeant Ebenezer Field and Mary Dudley. Samuel died 1783 in Guilford, New Haven, Connecticut. v. Joshua Field b. 20 Feb 1749/50, d. 24 Jan 1783; m. Submit Collins on 30 Mar 1774 at New Haven Second Church, Madison, New Haven, Connecticut. vi. Luke Field b. 4 Feb 1753, d. 5 Mar 1826; m. Patience Griswold on 17 Mar 1777 at New Haven Second Church, Madison, New Haven, Connecticut. This entry was posted in 10th Generation, Line - Miner, Missing Parents and tagged Franklin CT. Bookmark the permalink. 4 Responses to John Johnson Jr.
I’m using a variety on online ancestry sites and came across yours (thank you!) – I pretty sure that I’m a direct descendant of Ebenezer Johnson and Deborah Champion.